Every two years PHOTOKINA brings together the industry, trade, professional users and end consumers in the world’s leading imaging fair. The Fair tool place in Koln (Cologne, Germany) during 18-23/09/2012 and according to official statements it was a great success. 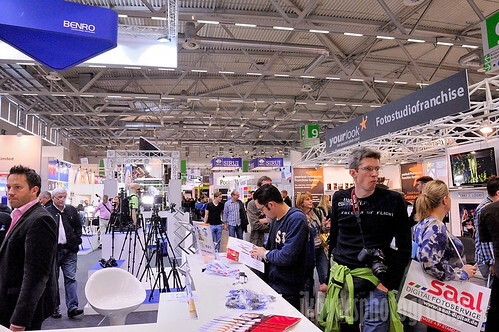 A total of 1,158 companies from 41 countries participated in photokina 2012, with 63 % of the exhibitors coming from abroad. The exhibiting firms included 280 exhibitors and 140 additionally represented firms from Germany and 523 exhibitors and 215 additionally represented firms from outside. 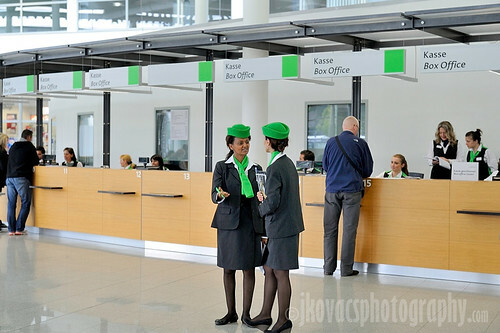 "Some 185,000 visitors from 166 countries attended the world's leading fair for the photography and imaging sector, which marked an increase in visitors from the prior event in 2010 (181,464). The share of trade visitors was 48.8 per cent; 42.5 per cent of these visitors came from abroad, a significant increase (7.5 per cent) compared with the equivalent figure for the prior event. 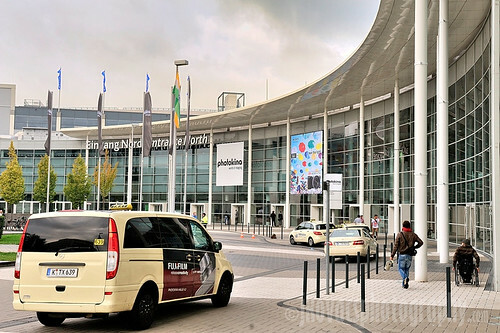 In particular, photokina recorded a substantial increase in the number of specialist dealers and imaging professionals from Asia (16 per cent), North America (26 per cent), and Eastern Europe (40 per cent)." If interested, you can download the final report here. We went there on Saturday 22/09/2012 and need to say, compared with the 2 last editions of the fair, it was by far busier with people. Thus, access to various products proved to be very difficult because of crowds queuing around. So not too much time to lay hands on the new cameras or lenses. The highlight of the section was the public appearance of the last week announced Nikon D600. The new DSLR features a new 24.3 MP FX (CMOS) sensor powered by the same Expeed 3 processing engine as the one in the top-of the-range Nikon D4. Although a very advanced camera, I was not impressed by the ergonomics of the D600, the lack of external buttons might definitely have an impact on your shooting speed. On the other hand, once you master the menus, you are good to go. Canon used Photokina to launch their new Canon EOS 6D. The new DSLR features a new designed 20.2 MP FF sensor in the world's lightest DSLR body. It is also the first DSLR to have a WIFI and GPS connectivity, for easy photo sharing. The EOS 6D is best seen as a full frame version of the EOS 60D - indeed it's very similar in both control layout and dimensions. Its front profile is very similar to the Nikon D600, but it's rather slimmer front-to-back, and lighter too. At Photokina, Panasonic presented the Panasonic Lumix dmc-gh3 , a micros Four Third compact system camera. The machine features a new 16MP Live MOS sensor powered by a new Venus engine in a 550g body. Also The GH3 gains a weather sealed (dust/splash proof) magnesium alloy body which now gives Panasonic a camera body to match their moisture- and dust-sealed G X Vario 12-35mm F2.8 ASPH lens and G X Vario 35-100mm F2.8 ASPH fast zooms. Pentax announced its new cameras in advance of Photokina. The new announced Pentax Q10, Pentax K-5 II, Pentax K-5 IIs and new lenses were on the stands. Pentax Ricoh has announced its latest flagship DSLRs - the K-5 II and K-5IIs. The 's' version, which costs $100 more, comes without an anti-aliasing filter, to offer higher resolution at the risk of more prominent moiré interference patterns. Both cameras feature 16MP sensors and the weather-sealed magnesium alloy build of the original K-5. 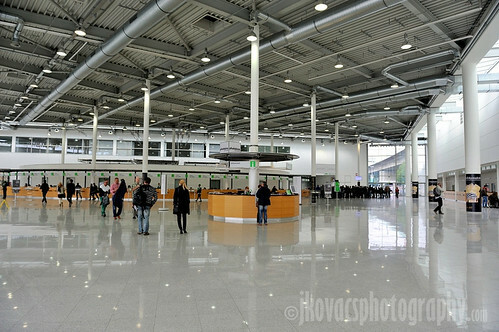 Like Nikon, Sony publicly presented at Photokina 2012 its new products announced last week. The Sony Alpha SLT A99 is the world's first full-frame DSLT camera featuring a 24.3 MP sensor, the company is hoping to take on the might of Canon and Nikon with its new offering. Meanwhile, the Sony Alpha NEX-6, the company's latest compact system camera, can be seen on stands as well. Please find below a selection of photos from Photokina 2012, the full gallery is available here.